Boveda 8 gram packs are for smaller enclosed spaces, like travel humidors and small Humidor bags. 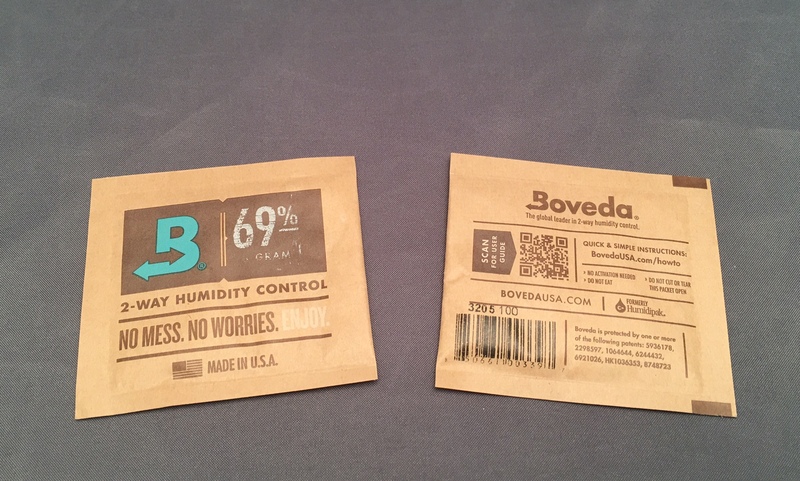 Within an enclosed container, Boveda monitors the ambient RH (relative humidity) and adds or removes moisture to maintain the specific RH engineered into the pack. Because it’s impossible for Boveda to humidify beyond the RH on the pack, it’s impossible to use “too much”. 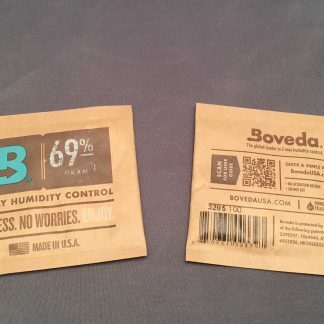 The life of any Boveda depends how hard it has to work giving up moisture. When there are very few soft spots left in the Boveda, it’s time for a replacement. Note: Do not mix Boveda RH levels within the same humidor, and do not use Boveda in the same humidor with other humidification products. They will fight against each other and reduce the efficiency of the Boveda.